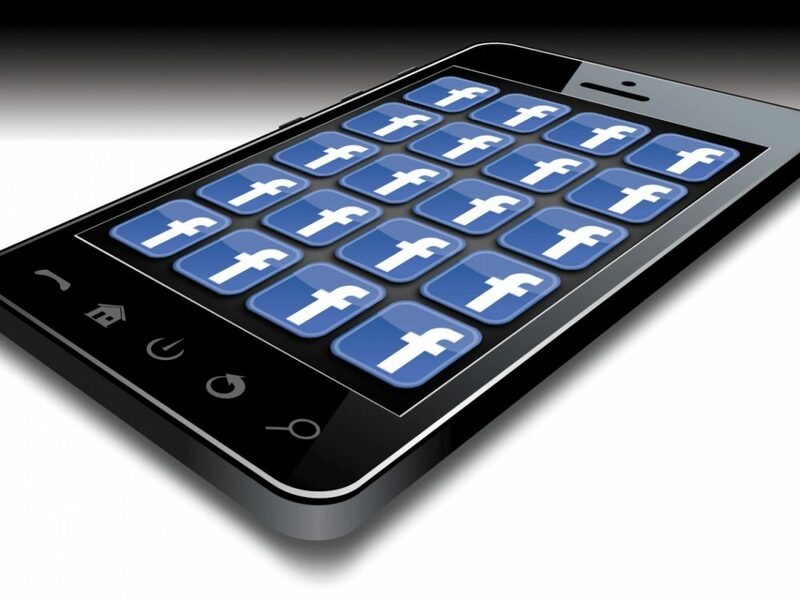 Social platform Facebook is widely used by people of all groups. 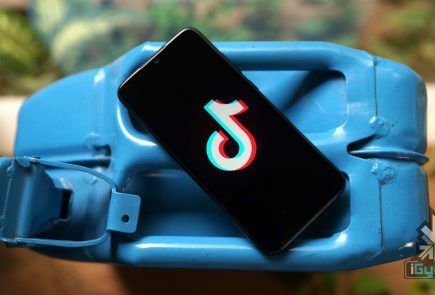 Though, it’s an amazing means to share updates, pictures and more with your friends and family, it sometimes pesters users through advertisements, invitations popping up to play games, posts sharing on your behalf and many more. Have you ever been in such circumstances where your mum scolded you on Facebook and likes of that post multiplied in minutes with people having a good laugh at it? Well, we all must have come across one or the other issues in the gigantic service, but fret not as the below-listed tips and tricks will keep awkward situations at bay. Advertisements are the most annoying part of any web page and same is the case with Facebook. Whenever we login to our account, a plethora of ads force us to leave the page. 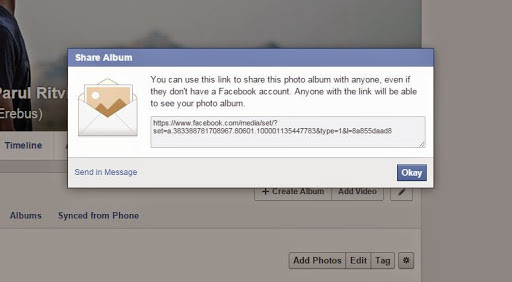 However, you would no longer be frustrated opening up your Facebook account as ‘Cleaner’ will keep your page tidy. Download Facebook Cleaner and avoid ads and updates on your account. Many a times it is seen that mums are interested in the activities of their grown-up kids. In spite of your mums’ continuous threats to join Facebook, you can sit back and relax as she would no longer complain. Now show her the pictures of your choice and be at the best of your behaviour. All you need to do is open the desired album, tap settings and copy the link. You can send this album as an email or via ‘Send in Message’ option, as per your liking. ‘This video is completely ridiculous. Why the hell people update such stuff.’ You must have said similar lines for disgusting videos auto-playing on your Facebook page as you scroll down the recent activities of your friends. 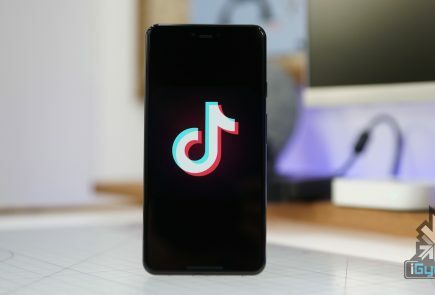 Many a times we don’t bother and pause the videos individually, but seldom when we’re in a hurry to sneak onto our account for a few minutes, the videos automatically start playing. Well, this can be avoided by making some slight changes. 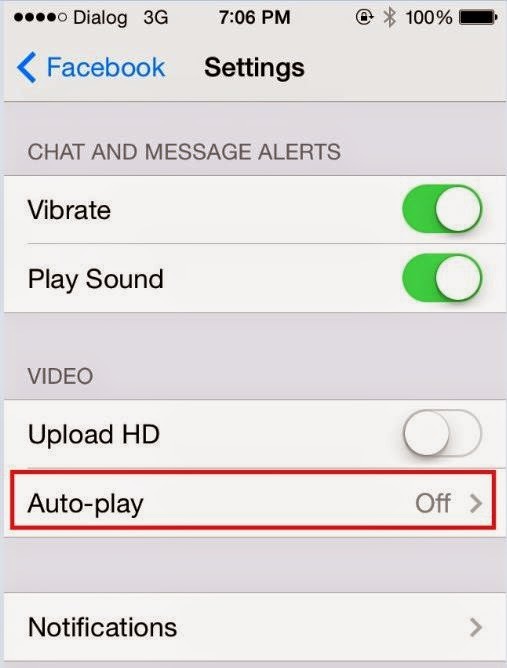 Click on Settings -> App settings and choose Off on the Video AutoPlay option on the Android phone. 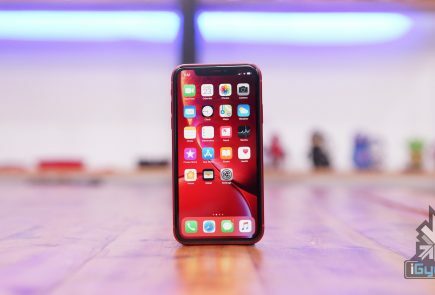 iOS users can turn it off by choosing Settings on the phone and then clicking Facebook>Settings>Off under Video Auto-play option. With advancements in technology, games are no more the same as they used to be. You can now connect to Facebook and can ask your friends for help in case you’re stuck in the middle of some game and a lot more. Usually, these games send notifications to your friends or ask you to join it, which is quite pestering. However, you can easily get rid of the irritating updates by clicking the downward triangle icon. Then in your Setting options; click to customise your blocking options. Then enter the name of the apps you no longer want to get notifications of. Some of us involve ourselves in Candy Crush or Subway Surfer to beat the boredom, but at the same time we don’t want our boss or teachers get record of our gaming achievements. Many apps insist on posting the recent record break or achievements on the wall, but preventing them is much easier than one would have thought. Go to downward triangle and choose Settings and then Apps. Edit the list of offending apps and set ‘Visibility of app field to ‘Only me’. Your achievements will be updated on the wall but only you will be able to see them. You may be friends with some people, but you no longer desire to receive or share News Feeds with them. It can be your ex-boyfriend or an irritating friend. Removing them from your friends’ list may hurt them but there’s a way to ignore them without even letting them know. The easiest way to hide the activities is by going to the status of the unwanted person and choose ‘Unfollow [friend’s name]’. 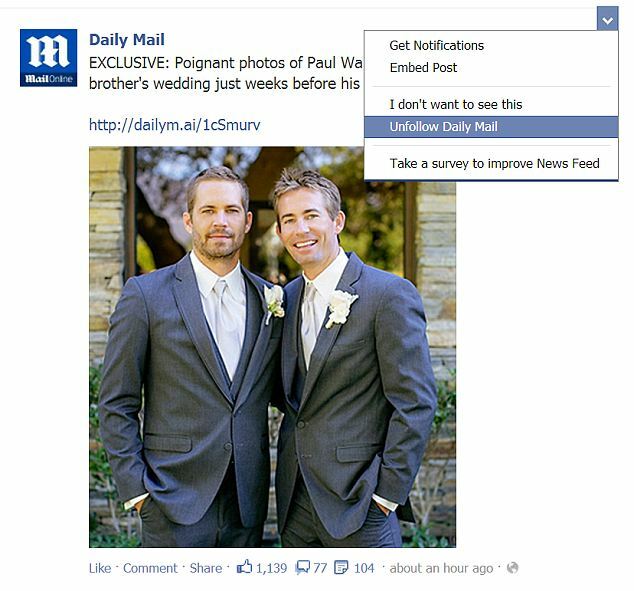 You can also remove a particular uninteresting post from appearing on your page. Also, confine status updates to your close friends by choosing a list in the Friends drop-down option before hitting post. On the left-hand corner of the page, there is a Friends box with tiny pictures of your friends. However, you don’t get in touch with them often and they still appear shamelessly on your page (not your friends, but Facebook is to be blamed for this). 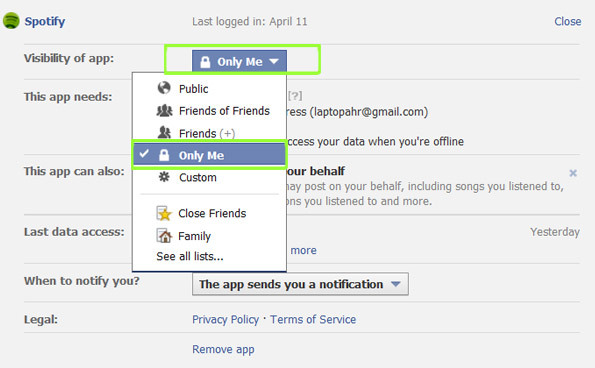 But there’s a way you can decide what all friends you want to see on your page. 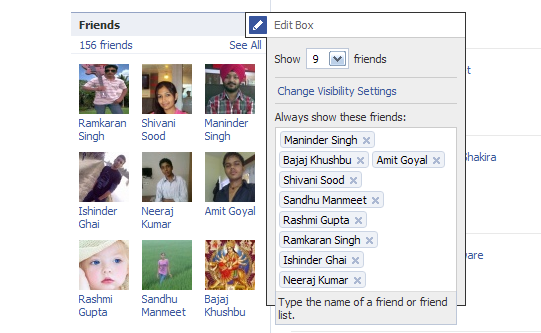 Go to the Edit option on your Friends box and list the names of your friends. The chosen friends will now appear in your Friends box.